Need not to play the contents all the time? 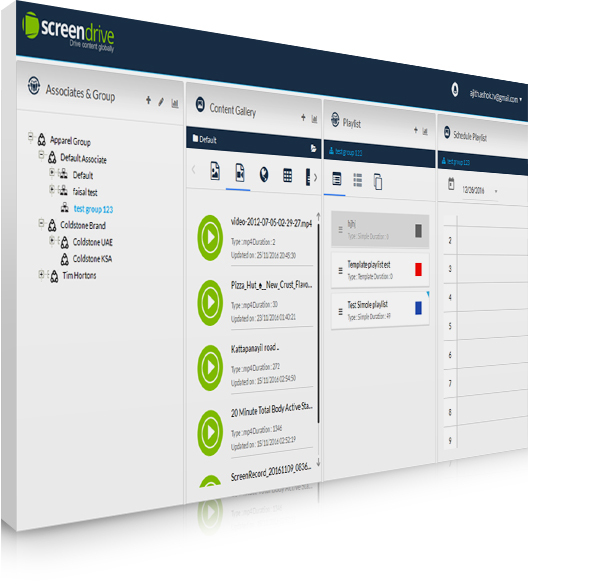 Use Screendrive’s screen scheduling feature to turn on and turn off your screens automatically. Optimise power consumption and maximize LCD panel performance, the ideal way to achieve the best. Create any number of impressive playlists based on your theme and group it, use the default templates or make your own design. Schedule playlist from anywhere for any time up to the minutest level, Use default playlist for unscheduled moments, Screendrive provides you the most need-based playlist and player management interface. Bring your imaginations on screen without spending countless hours in Photoshop or other design tools. Design impressive layouts with the help of our enterprise level intuitive visual designer and built-in apps. Screendrive’s intuitive designer and built-in apps let you design the screen in minutes, you don't need any prior design experience. Create your departments or divisions or brands and assign the authoritative person to administer. Manage and control Contents, Playlists, and Players in a more organized way. Screendrive digital signage work like you work, an exact reflection of your organization. Geographical boundary? Not in our case. Control any number of screens from a single point. Define and design your strategies, we shall implement it. Don't let the exceptions to ruin your efforts. Power failure and network failures are no longer a problem for your digital signage. Screendrive is designed to work under any circumstances that may bring you down. We are always available here to provide you the uncompromised assistance. 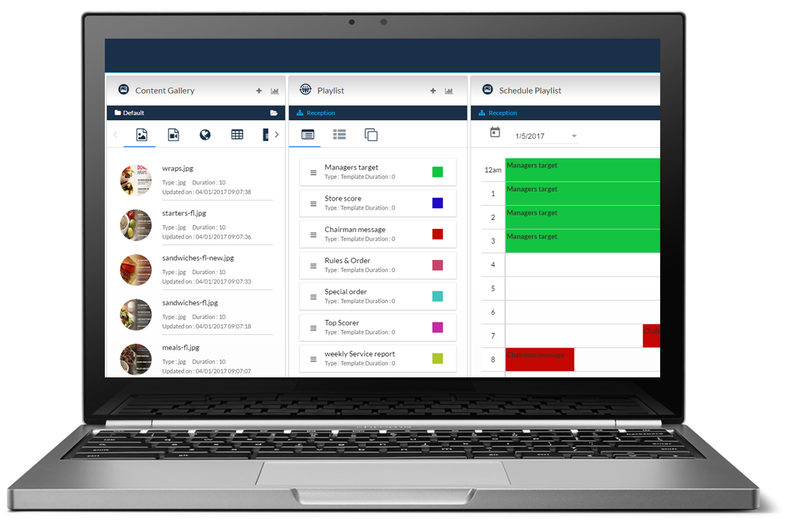 Screendrive live support, troubleshoot documents, supporting materials and support ticket system provides our customers world class assistance at any point of time. Get free access to Screendrive’s support materials and troubleshoot documents.